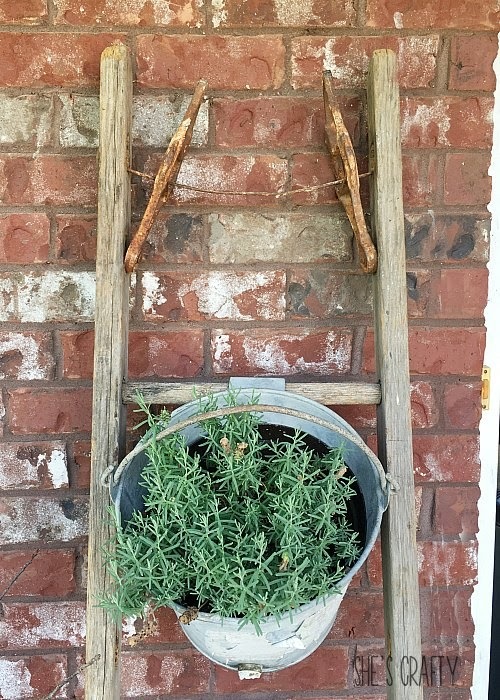 I love repurposing items, especially when I can use them for something cool. 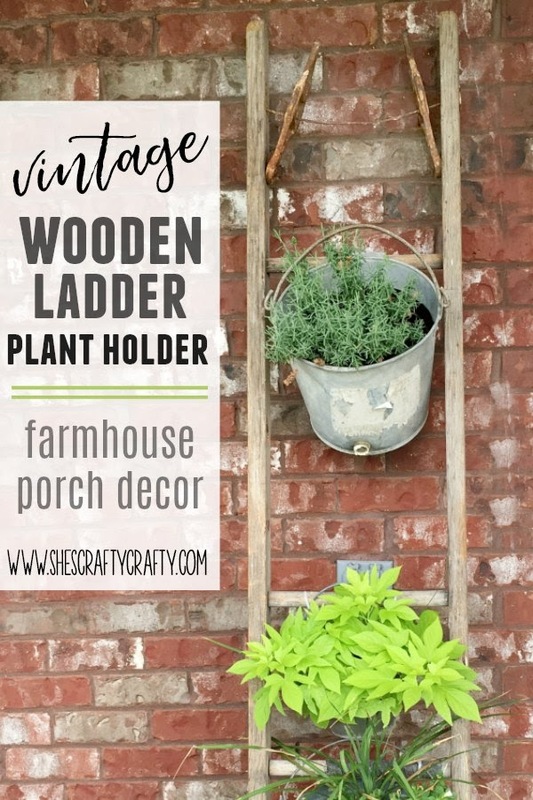 An example of this is using a beat up wooden ladder as a plant holder on my front porch. 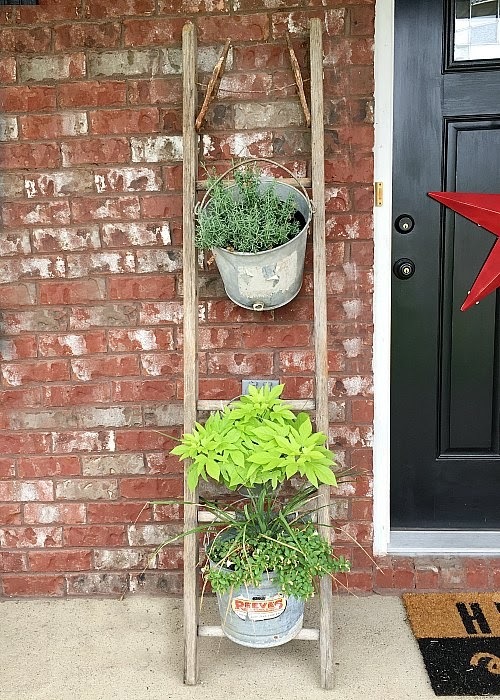 I don't have a huge porch but still love to plant flowers and display them in different ways. 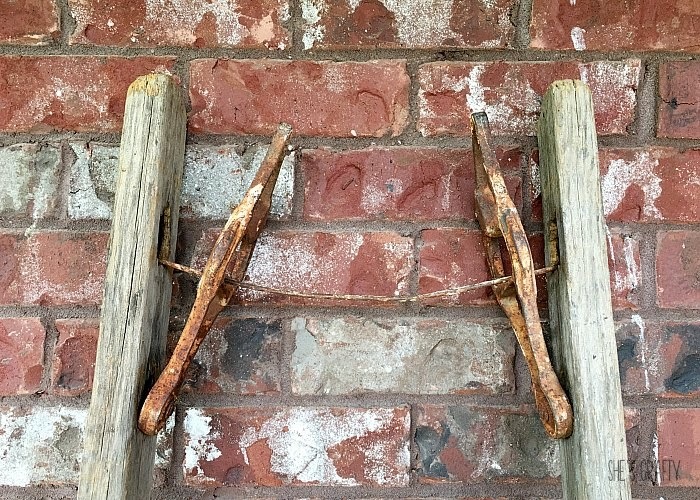 On one of my trips to the Nashville Flea Market, I found a very distressed wooden ladder. 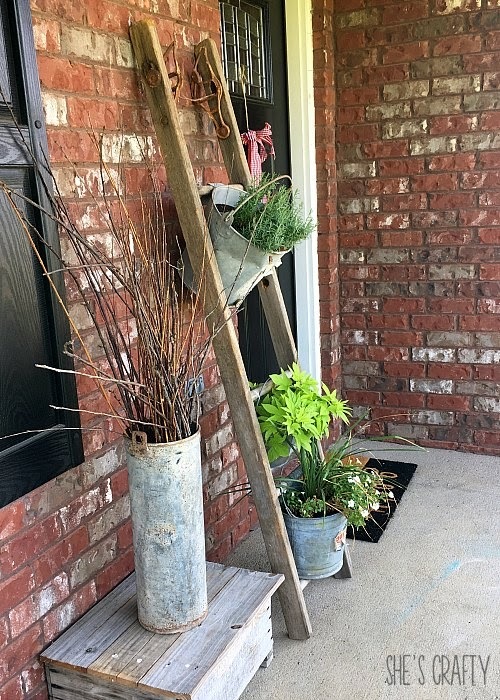 It is definitely no longer useful as a ladder. One step on a rung and it would break. But what it lacks in sturdiness, it makes up for in character. 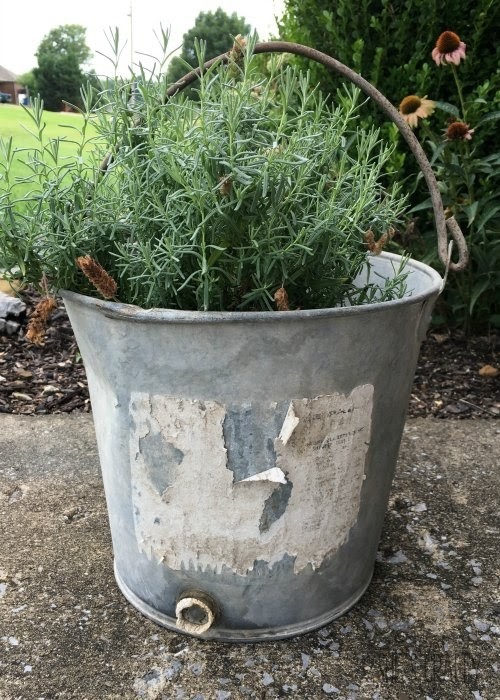 On the same flea market trip I found several well loved galvanized buckets that were perfect for dropping a potted plant in. The back of this bucket already had a hanger. It's almost like it was meant to hang from the ladder. I found some other buckets, that sadly did not already have hangers on them. So I used heavy duty zip ties to hang them from the ladder rungs. 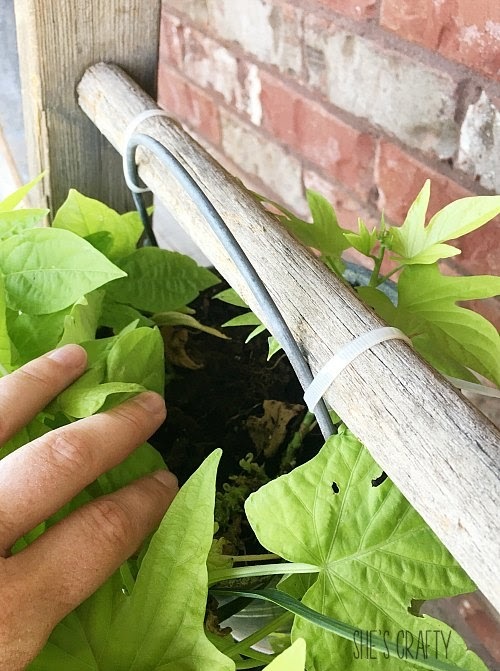 The plants hide the zip ties. 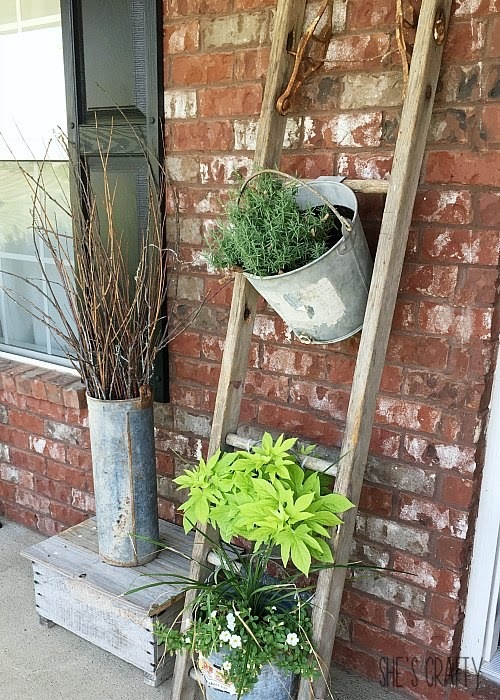 I love the rustic charm of this ladder, plants and buckets! 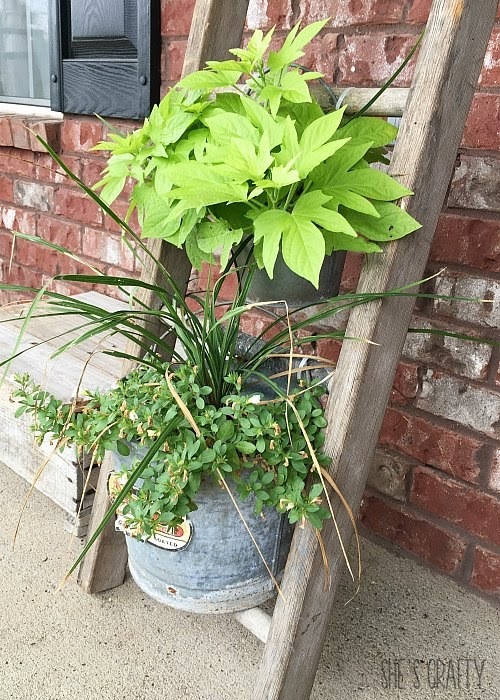 It goes right along with the rest of my front porch!